Snapdragons (Antirrhinum majus) are grown as a popular bedding plant or cut flower. 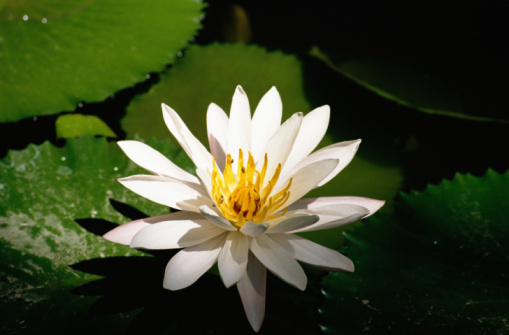 The distinguishing feature is the shape of the flower. Each flower has a lip, or beard, that serves as a landing pad for pollinating bees. Once the flower is pollinated, the lip closes or "snaps" shut. There are several types of flowering plants that produce flowers similar to snapdragon flowers. Several types of flowering plants can be confused with the snapdragon. Yellow Toadflax, brideweed or butter-and-eggs (Linaria vulgaris) is a spreading perennial with thin silvery leaves that has naturalized throughout the United States. The 1 inch long snapdragon-like flowers are arranged along the 2-foot tall stems. The flowers are yellow with some orange visible on the lower section, or lip. The flowers appear in mid to late summer. Common beard-tongue (Penstemon) is a perennial plant that produces pink, red or orange snapdragon-like flowers depending on variety. It grows to 18 inches tall. Common beard-tongue can be found throughout the United States. Beard-tongue is native throughout the United States and a variety of common beard-tongue grows in every state but Hawaii. The flower is very similar to a snapdragon flower and some varieties of beard-tongue are easily confused with snapdragons. 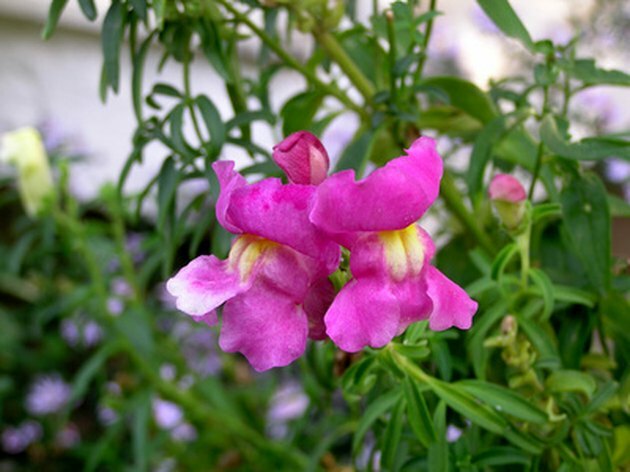 The snapdragon vine (Maurandya antirrhiniflora) is a rambling vine that produces blue or purple snapdragon-like flowers with a yellow spot inside the throat. It is used as a fast-growing annual vine in most of the United States and a tender perennial in warmer climates such as USDA horticultural zone 8 and warmer. The snapdragon vine reseeds freely and spreads readily throughout the garden. It is not a tall vine, only growing to 10 feet under optimal conditions which is rich, moist and well-drained garden soil.